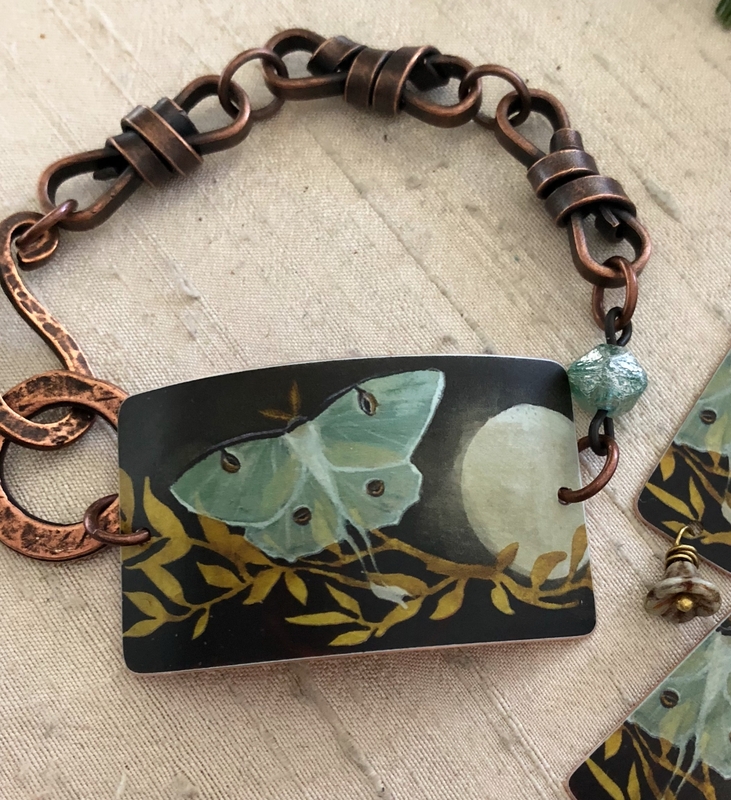 An eye-catching bracelet focal features my original artwork. Jewelry is shown as an example only. This listing is for the Faux Tin moth component only. This item is made-to-order. Please allow 7-10 business days before your order ships. Each Toggle is unique. Expect slight variations as part of the handmade process.